It's an oily, Greece-y Friday. 1. Oil slips and slides: Crude futures continue trading below the $42 level, around a fresh six-year low set on Thursday. Just over a year ago oil was comfortably hovering above $100 a barrel, but prices have plunged because oil supply is outstripping demand. 2. Greece is the word: Ah yes, Greece is back in the headlines again. The country's parliament voted Friday to accept a third bailout agreement from eurozone lenders after a marathon all-night debate. Without these new bailout funds, worth roughly 85 billion euros ($95 billion), the country risks running out of money, defaulting on more debts and falling out of the eurozone. The value of all three Greek bailouts will reach well over 310 billion euros, which is more than three times the cost of building and operating the International Space Station for 10 years. 3. China's yuan stabilizes: After three consecutive days of sharp falls, the Chinese currency has stabilized. China's central bank said the yuan's adjustment is "basically completed" and that the currency will remain strong in the long run. The central bank allowed the currency to devalue versus the U.S. dollar earlier this week, which caused ripple effects around the world as people considered how this could hit global trade dynamics. 4. Stock market overview: U.S. stock futures are not making any major moves ahead of the open. But Nordstrom's (JWN) stock is jumping in extended trading -- up about 5% -- after the company reported strong earnings. 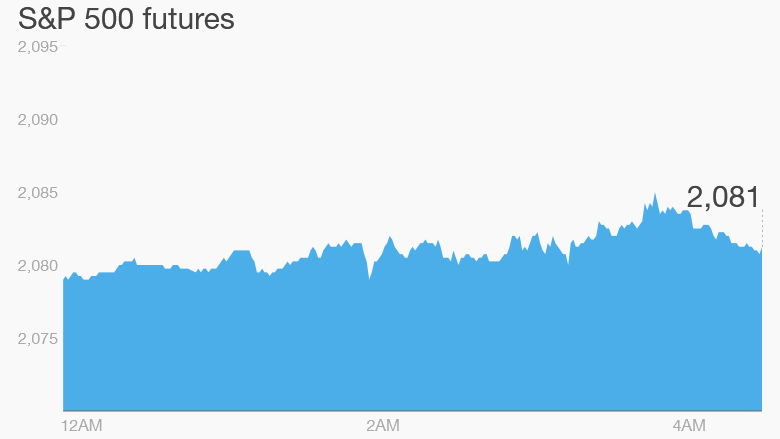 Across the pond, European markets are mostly rising in early trading. 5. Earnings and economics: J.C. Penny (JCP) is reporting ahead of the open. At 8:30 a.m. ET, the Bureau of Labor Statistics is updating its producer price index for July. Then at 9:15 a.m., the Federal Reserve is posting industrial production figures for July. The University of Michigan will post its consumer sentiment index for August at 10 a.m.